We just stayed at the Cooperstown Bed and Breakfast. It goes without saying that we love that place... and we also love the new sign put front. The blue tones, the nice fonts and the signature pineapple design really are an improvement over the last sign -- which, by the way, we also liked a lot. 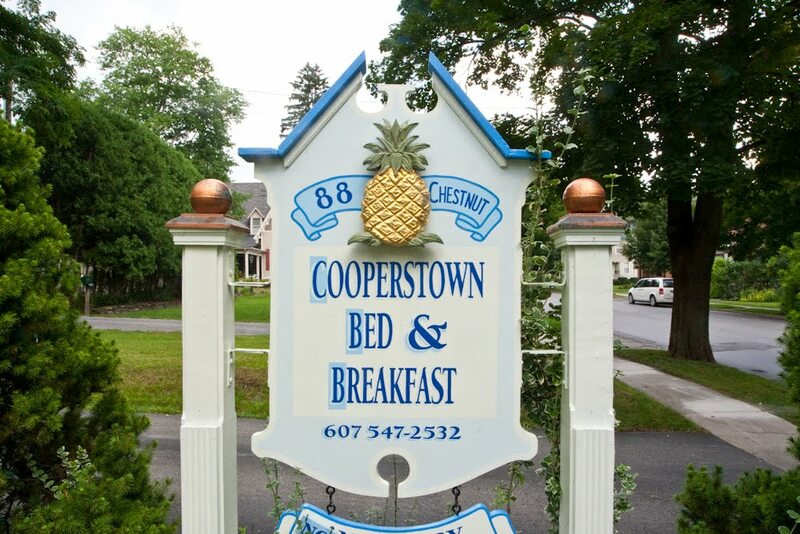 The family-friendly Cooperstown Bed and Breakfast is a charming 1902 Victorian home, operated by two of the nicest people in the world, John and Linda Smirk. 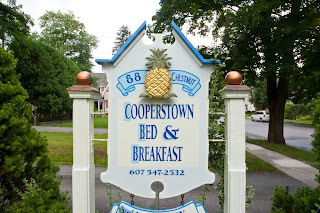 To learn more about this fabulous B&B, visit the Cooperstown Bed and Breakfast web site or its brand new Facebook Copoperstown B&B Fan page!